Let’s face it. Your primary purpose in writing blog posts is not to capture Facebook “likes” or get ranked. You’re writing a blog for strategic business purposes. You want the content to achieve something. You want to increase your conversions – to put a direct value on the time invested in blogging. Structuring your business blog posts for conversions begins before you put pen to paper (or, in this case, cursor to screen). Crafting content according to a plan ultimately yields better results than content created on a whim. What elements should you plan for when conversion is your goal? Planning blog content for conversions starts with the topics. Too many content creators select the subjects they find most interesting. Unfortunately, just because a topic interests the writer doesn’t mean it will engage readers. Ultimately, unengaged readers equal lackluster ROI. Learn how to know what topics to avoid and which ones to expand. 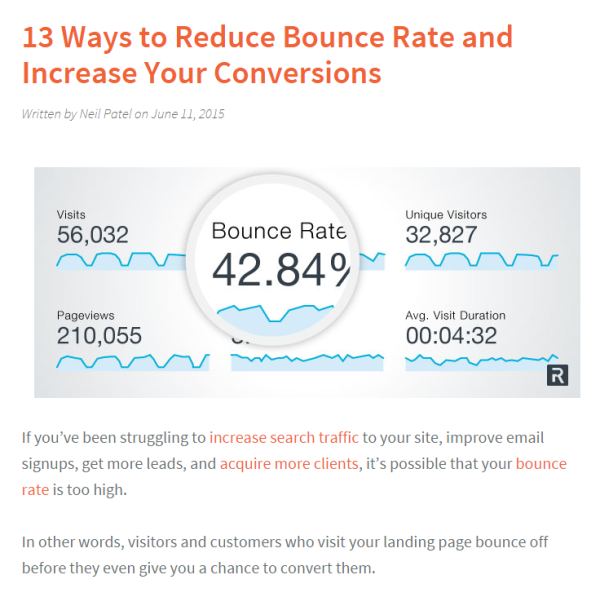 Digital marketer Neil Patel explains how to do that in 13 Ways to Reduce Bounce Rate and Increase Your Conversions. High bounce rates and low conversions reveal points where your audience is pained, frustrated, or unaffected by your content. Write about topics that relieve your audience’s pain points and bounce rates will be lower and conversions higher. As an alternative topic-generation strategy, try the skyscraper technique. Popularized by Brian Dean, this approach involves finding out what topics others in your industry have covered and publishing better content on those subjects. Say a competitor publishes a thin content piece addressing one of your audience’s pain points. Why not release your own improved version? Brian’s use of the technique resulted in a doubling of his site’s organic search traffic in just 14 days – results that almost certainly improved the overall ROI of his business blog. Your business blog posts can play an important role in driving any of these types of conversions, though you’ll want to be careful not to overdo it. Stick to a single call to action for each post, and vary the level of audience commitment required. If every blog post includes a hard sell for one of your products, readers will grow tired quickly of the high-pressure-sale atmosphere. Don’t be afraid to use sales-oriented CTAs when appropriate, but mix them up with less intense CTAs that request things like social shares or blog comments. With your optimized topic and intended CTA, it’s time to start crafting your content. Ross Hudgens of Siege Media has seen an increase in article click-through rates of as much as 20% through the use of improved title tags. Aren’t sure yours are on par? 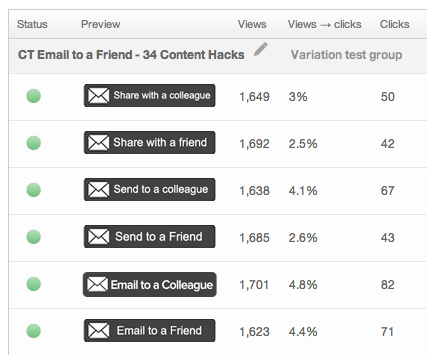 Tools like KingSumo’s Headline Optimizer can help. Author Stephen King spends “months and even years” writing opening sentences. 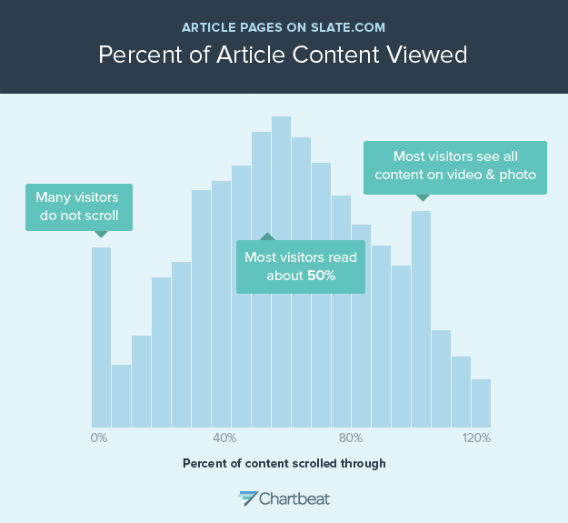 Slate estimates that 38% of its visitors bounce (leave without engaging with the page) and of those who remain, less than half make it through the piece. Your first few sentences have an impact on your ability to convert readers. Give those sentences the attention they deserve and make them as compelling as possible. Keep paragraphs short. Although many of today’s top bloggers are experimenting with single-sentence (even single-word) paragraphs, two to five sentences per paragraph is a good upper limit. Break up text. Heading tags, bulleted lists, numbered lists, bolded text, and italicized text all make it easier for readers who naturally scan your words to stay focused. Include images and videos. To make your content even more digestible, break up paragraphs of text with images and video clips. These provide an important rest for eyes that can become strained by too much reading. Check your font. Smashing Magazine has a great guide to optimizing your font and font size for maximum readability. Keep your line length between 45 and 70 characters and make sure your font size is appropriate for all devices. Depending on your writing style, you may find it easier to construct a draft and refine it for conversion or you may prefer to incorporate the following elements as you write. Either way is fine, just be sure each of the steps is covered. If your CTA encourages readers to make a purchase, the CTA’s best location is wherever your readers are in the best frame of mind to buy. This could be after you’ve explained a particular product benefit, emphasized a pain point, or incorporated a scarcity tactic to increase urgency. If your CTA aims to increase social shares and you’re using a tool like Click-to-Tweet, the best place for your CTAs is wherever you’ve included a particularly quotable line. If the goal of your CTAs is to drive downloads of a white paper or case study, use a heat-mapping tool like CrazyEgg to determine which areas of your article get the most attention and place your CTA there. 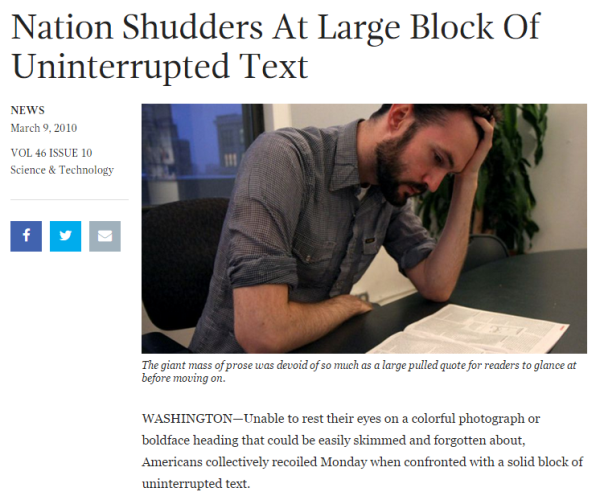 If your CTA strategy revolves around prompting readers to answer an engaging question, the best location is the end of the article, as you can capitalize on the time visitors take after reading something to process what they’ve learned. Use the guidelines above as a starting point, but split-test locations to find the better positions for your prompt. Text versus image – Your CTA can make use of text, images, or both. Images even could be composed of stylized text, product images, or a combination of the two. Button size and color – If your CTA includes a clickable button, its size and color can impact its effectiveness. To find the best option, Unbounce recommends starting with a “squint test” – stand back a few feet from the computer and see if the button stands out. If it doesn’t, try something different. Incorporating color psychology principles also can help. As with your CTA styling, don’t assume you know which text is the best. Test variations to find the best-performing alternative. Finally, if you’re going to go to all this trouble to craft your business blog posts for conversions, you need to track whether conversions are occurring. If your CTA goals are simple – as in the case of video downloads or social shares – tracking the number of conversions that have occurred is relatively simple. Look to the program hosting your downloadable file or your social buttons, count the number, and determine if the conversions represent a good value for the time and resources put into the post. Even things like lead generations or email newsletter opt-ins can be easily tracked using Google Analytics Goals. Where conversion tracking gets more complicated is in the case of product sales, especially big-ticket items. Even if somebody goes directly from one of your blog posts to your product page and completes an order, can you really say for certain that your post was 100% responsible for the sale? Probably not. Instead, the conversion likely occurred after a series of other activities, such as reading reviews, checking out your competition, and looking around for product sales. Each of these actions deserves some of the credit for the ultimate conversion, along with your blog post. Use a single-touch attribution modeling system like Google Analytics that’ll give the original blog post full credit for the conversion and accept that your data is incomplete. Pay for a multi-touch attribution modeling program like Marketo or Convertro to get a fuller picture. There’s no right or wrong option, but as I leave you to decide upon your own course, I’d like to make one final recommendation: Remember that your blog is a living thing. You aren’t done with a post when it’s published. If you’ve gone to all the trouble to optimize a post for conversions (and you don’t need to go this extreme with every article you write), you owe it to yourself to follow up in the future and look for ways to improve your conversion rate even further. Apart from the CTA-styling split tests earlier, check things like bounce rate and time on page regularly. Use your heat-mapping tool to see how long readers are engaging with your content. Take the data you’ve gathered and use it to make changes to your posts. Don’t accept your first conversion rate results as final. Pairing these recommendations with regular data analysis and revisions will help you ensure the highest possible return on your business blogging investment. 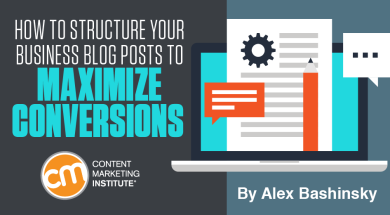 Are conversions a consideration for you as you create blog content? If so, share any other tips and tricks you’ve discovered by leaving a comment. Alex Bashinsky is the co-founder of Picreel, an online marketing software program that converts bounce traffic into revenue. He's passionate about helping businesses improve their conversion rates and, in his down time, enjoys reading and playing the guitar. Get in touch with Alex at @abashinsky or check out Picreel.com.